“This has stretched my brain in a way it hadn’t been before,” says second-year student Rachel Bierbrier (centre). The next offering of the Emerging Health Leaders (EHL) program will be Aug. 19 to Sept. 1, with an expected cohort of 30 interdisciplinary students. Applications are open until June 22. At first glance, graduates of the Emerging Health Leaders (EHL) program do not appear to have much in common. Take three of the students from last year’s cohort, for example. One is a high-tech entrepreneur showered with accolades and seed money. Another is a fanatical hockey player shooting to apply her team skills to medical studies. The third possesses interests from computer science to philosophy, but ultimately wants to help build a more technology-enabled health system. Despite their different paths, all three students share an aspiration to be leaders in the medical sector – which is what drew them to the EHL Program at the Michael G. DeGroote Health Leadership Academy (HLA). “This has stretched my brain in a way it hadn’t been before,” says the hockey player, Rachel Bierbrier, a second-year student at McMaster’s Michael G. DeGroote School of Medicine. 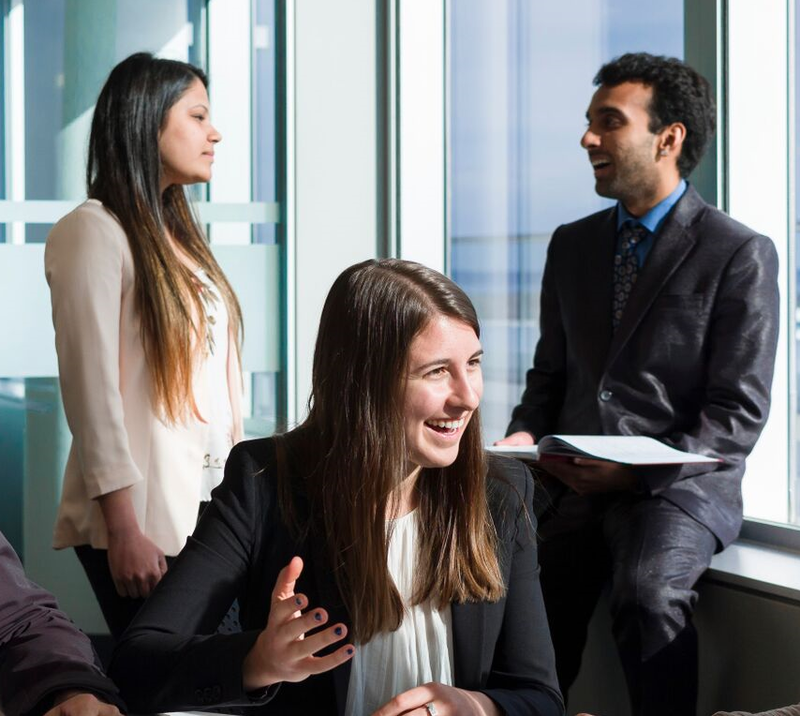 This program is offered by the HLA – a joint venture of the DeGroote School of Business and the Faculty of Health Sciences. It’s billed as a two-week residential immersion into cutting-edge leadership thinking. Aimed at qualifying undergraduate and graduate students, the program offers a range of experiences, from teamwork and self-reflection to mentorship from experienced professionals. These three graduates came to the program with a personal history of academic and extracurricular success, but saw gaps in their leadership repertoire. After two weeks of living and breathing leadership, they are already seeing their new skills pay off. 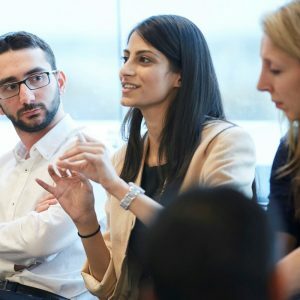 Sarosha Imtiaz is a McMaster Life Sciences student who, through a zig-zag path of opportunities, has emerged as a founding partner in a Hamilton startup that helps businesses optimize their online presence. She came to the leadership program just as she was making the transition from Bachelor of Health Sciences undergraduate degree to full-time involvement in her tech startup, Aiva Labs. The EHL promised to discuss “the intersection of business, health policies, and technology,” Sarosha says. The program did not disappoint. Like the other students, she was fascinated with design thinking as a development tool. She enjoyed the expert speakers, and got a grounding in change management that will help define future roles. Also, she gained a network of colleagues from a wide range of backgrounds, with which to share ideas. Now back at medical school, Bierbrier says her passion for science is similarly complemented by broader exposure to soft skills, including design thinking as a tool to innovate. The EHL experience “challenged the way I thought about tackling those big multi-factor challenges. The program gets you out of your comfort zone and that is where you grow the most,” she explains. Krish Bilimoria is graduating this year from McMaster’s Bachelor of Health Sciences program, with insights that challenged everything he thought he knew about leadership. 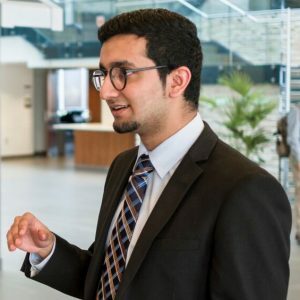 Bilimoria had been involved in a lot of conference and event organization in high school and at McMaster, but the EHL program taught him about the importance of collaboration. In high school, he says, “I thought the definition of leadership was to give orders, call the shots, stand the highest,” but he never entirely trusted the work of others. During the EHL sessions, he was able to frame his leadership style and he learned how to develop tools to get the best out of everyone. Bilimoria has taken his new approach and applied it at the Innovation by Design program, also offered by the HLA. He has been working with a student team at Toronto’s Hospital for Sick Children looking to integrate personal protective equipment, thus reducing the incidence of hospital-acquired infection. His EHL experience has instilled a design thinking approach to the task, and has made him more sensitive to the complexity of institutions, such as the Hospital for Sick Children. Similarly, Bierbrier and Imtiaz are considering how they will hone their leadership skills even further. Bierbrier is mulling over life after medical school, which may just include a degree in business administration or in public health. Imtiaz may be immersed in business technology, but she maintains a passion for the medical sphere. Wherever their careers take them, all three students say they will carry the EHL experience with them as they seek to address global health challenges in new and innovative ways.